In junior high I used to eat various school supplies including glue, rubber erasers, paper and at one point an entire plastic ruler. Granted, the latter took me a month or so but I did it! I go out of my way to make sure that the stapler/staple remover I’m using is a Swingline product. It’s generally the only time I go out of my way to note the brand of something. I feel better when I have some sort of weight on my left arm. I used to have a denim jacket (Which might’ve actually been a shirt?) that had the left arm covered in buttons. I liked the way it felt. Usually I settle for a watch along with (when I’m not losing them) a ring. After years of temporary office work in various places, I’ve come to the following conclusion: If you’ve been temping at a place so long that they give you a name plate without actually hiring you, it’s time to leave. I start mosh pits while folk bands are performing. It’s an art. The name of this site is one hundred percent based on something I came up with on the fly for the sole purpose of stopping multiple arguments on a fighting game Facebook group over the past couple of years. 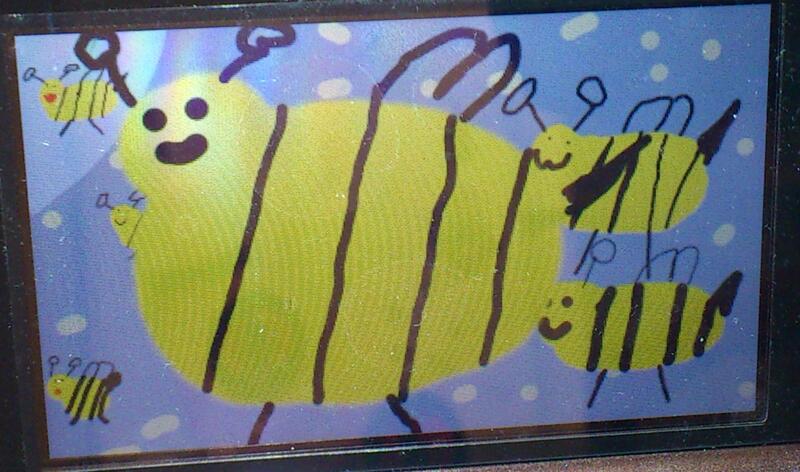 When something looked like it was getting out of hand I would attempt to confuse everyone involved by posting pictures of poorly drawn bees until they were too distracted to continue. As for the drawings on this site . . . Blogs look nicer with pictures and this blog’s name kind of already insinuated a theme so I just ran with it. Oh, how did I almost forget this last bit? Due to an open heart surgery I had when I was sixteen (I was born with aortic stenosis.) one of my valves was replaced with a a valve created from the lining of a cow’s heart. Therefore I am technically part cow. This entry was posted in Bees!, Blog, Blogging and tagged <3, about me, Art, confessions, heart, introduction, life, little things, musings, myself, reflection, surgery, writing. Bookmark the permalink. The best video game dialogue ever. EVER!